A selection of some of the best events coming up over the next few months. 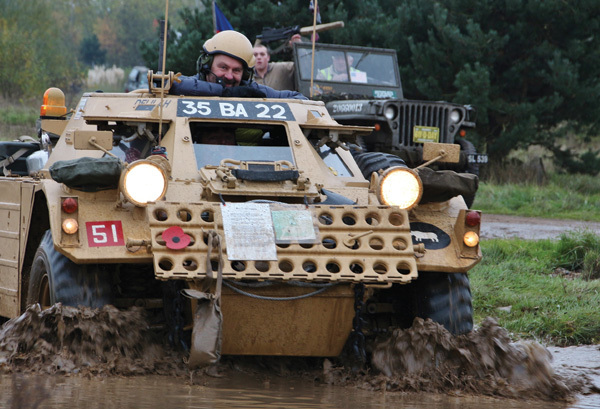 Over 80 vehicles from across the decades and representing the field of conflict will be on display at Brooklands Museum for their annual Military Vehicles Day. The site will be transformed as everything from armoured staff cars to troop carriers and motorcycles are parked up in the Paddock and around the Motoring Village. The event will be brought to life by the many war-time re-enactment groups that will be stationed alongside the vehicles, setting up road blocks and camps around the site. Visitors will also be able to see many of the light weight vehicles put through their paces, as they tackle the punishing banks and ditches of the 4×4 course at Mercedes-Benz World. Back over at the Museum site, the summit of the Test Hill beckons anyone brave enough to attempt the steep climb. 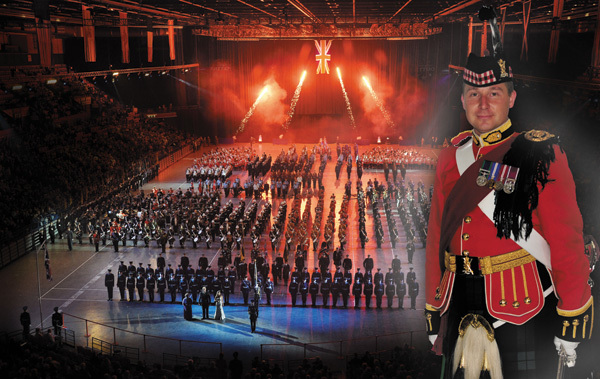 Whether you prefer the Massed Marching Bands, the exciting displays, or the splendour of the spectacular Grand Finale, there is something for everyone at this year’s Birmingham International Tattoo, at The NIA on Saturday 29 November at 6pm and Sunday 30 November at 2pm. This year’s special Tattoo will feature bands from as far apart as Belarus, Poland, Austria and, of course, our own British Armed Forces. In this special centenary year of WWI and the 70th anniversary of D-Day, all the marching bands, led by the Band of the Royal Regiment of Scotland and including this year a Massed Scottish Pipe Band, will demonstrate their musical skills both individually and as they combine for the spectacular Grand Finale featuring over 1,000 performers. DATES: Saturday 29 November at 6pm and Sunday 30 November at 2pm. 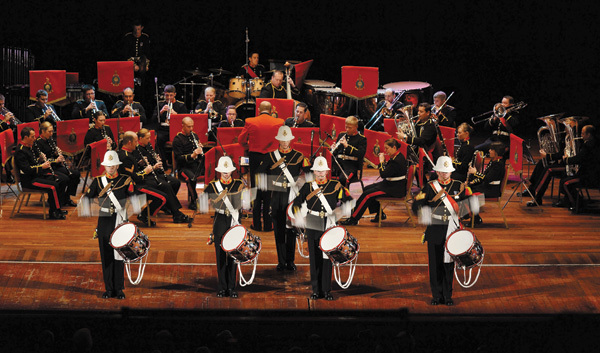 The Royal Marines Christmas Spectacular features festive entertainment from the world famous Bands of Her Majesty’s Royal Marines at four venues during November and December – Pavilion Theatre, Bournemouth; Town Hall, Cheltenham; Pavilions, Plymouth; Princess Theatre, Torquay. Featuring festive music, military marches, big band hits, and popular showstoppers, these entertaining concerts delight audiences each year. End the year in style at this special event – book early to avoid disappointment. DATES: From Thursday 27 November at 7.30pm to Sunday 7 December at 7.30pm. For full list of dates and locations see website. The Russian Spectacular is a music and dance extravaganza featuring one of the finest musical ensembles in the world, the White Russian Central Band from Belarus (formerly the Red Army Band), with special guest soloists from The Bolshoi, and dancers from The Belarussian National Folk Dance Academy. This spectacular programme of music from across the world will feature one of the world’s finest bands who will be joined by traditional folk dancers and guest soloists. From traditional Russian music to the big band sound, there is something for everyone at this special event, which will foster links through the international language of music, song, and dance. 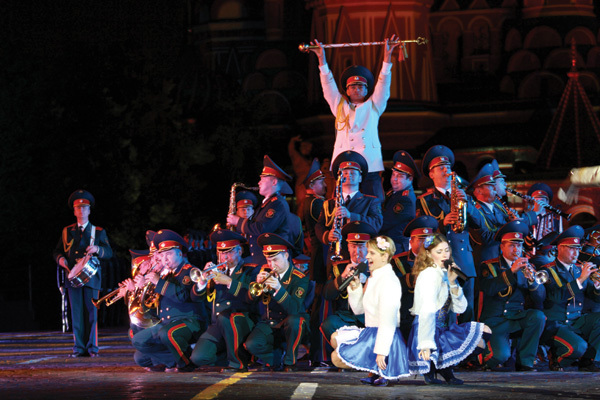 Ending with a Spectacular Finale ‘Last night of the Russian Proms’ this is an evening not to be missed. DATES: Monday 24 November at 7.30pm – Monday 1 December at 7.30pm. For full list of dates and locations see website. Witness the powerful imagery and confidence of the Cavalry of 1914 as they prepare to dominate the battlefields of Europe, little aware of the way in which the machine gun and barbed wire would sweep away their preconceptions. A recruiting station, replica bi-plane, and musical favourites from the time will evoke the spirit of the early days of the war, while a play entitled Letters from the Front will represent the bittersweet intensity of love and loss felt by families across the land. Compare and contrast through the day as the Troopers change into the somber khaki clothing that was to be evocative of the years to come. Glimpse into this world as we tell this remarkable story through reenactment, talks, music, and children’s activities. were destroyed. This attack caused great public outcry and ‘Remember Scarborough’ became the slogan for an impassioned recruitment drive. 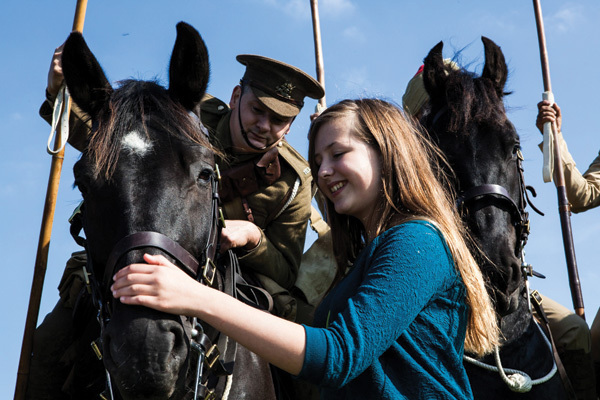 One hundred years on Scarborough Museums Trust are leading the ‘Remember Scarborough’ regional partnership. A new exhibition about the bombardment of Scarborough opens this summer at Scarborough Art Gallery. The exhibition will feature some never before seen material, and visitors can find out what happened that morning 100 years ago, why it may have happened, and the ensuing local, national, and even international impact. The Massed Bands of the Household Division present their winter concert Scarlet and Gold at the Cadogan Hall on 28-29 November 2014. 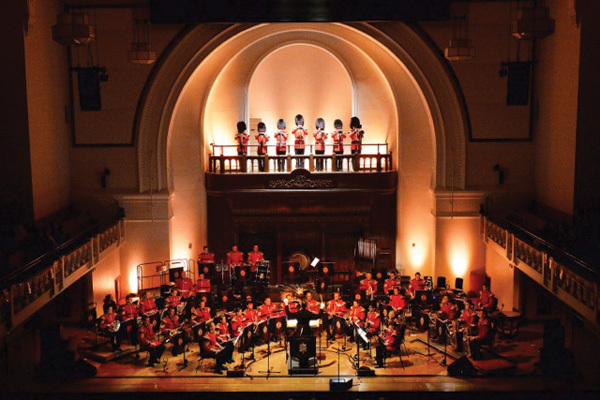 Taking the title from Lloyd Thomas’s wonderful march, it evokes the splendour and sparkle of the Guards’ uniforms and instruments, which combined with the beautiful setting of Cadogan Hall, promises an evening of musical pomp and grandeur. The evening will showcase the outstanding talents of the very best of the Corps of Army Music’s musicians, bringing the bands of four of the Foot Guards Regiments, the Household Cavalry, and the Countess of Wessex’s String Orchestra from the parade square to the stage. For more information on this and other ceremonial events go to www.householddivision.org.uk. The latest in George Kidner Auctioneers’ series of Arms, Medals and Militaria auctions is to be held on Thursday 13 November. This will be specialist auctioneer Ned Cowell’s 33rd catalogue. Recent highlights include a Triple Distinguished Service Order medal group to a Brigadier General (hammer price £32,000). At the time of publication lots for the November auction are still being gathered. Early entries include a Military Medal group to a tank driver in the Reconnaissance Corp, who, forced to abandon his tank under heavy fire, led the crew to safety, taking prisoners in the process. Also included are edged weapons, firearms, uniforms, and military ephemera. Those wishing to discuss the inclusion of any such item in the catalogue should contact Ned Cowell for advice. Both vendors and buyers may be assured of a professional and courteous service. Curated by Sir Hew Strachan, and running at the spectacular Musée de la Grande Guerre, Join Now! The entry of the British Empire into the war explores the action of the British during the first Battle of the Marne in September 1914, in the territory of Pays de Meaux, where the museum is located. The exhibition reminds visitors that Great Britain was involved from the beginning of the conflict. Paradoxically, it is mainly the decisive role that Britain played from 1916 onwards which is most often spoken about and most well known among the general public. 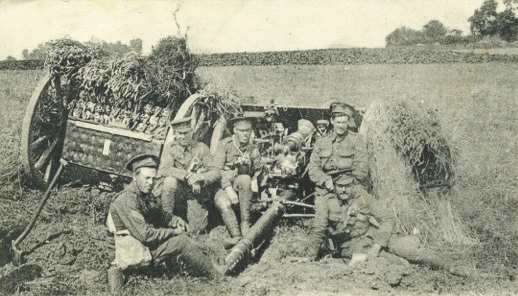 The exhibit focuses on the mobilisation and involvement of the British Empire over the summer of 1914, troop landings and their crossing of the continent, the initial fighting in Belgium and in Northern France, and the incident of the Battle of the Marne and the Battles of Ypres and Yser, from autumn to the Christmas truce of 1914. This three-day conference will examine Limerick’s four 17th-century sieges: the 1642 castle siege and the Cromwellian and the Williamite sieges of the city in 1651, 1690, and 1691. It will also explore the transition from medieval to modern siege techniques, the international flavour of the sieges, campaign logistics, and the effects of the sieges on Limerick’s citizens. Friday 3 October: afternoon tour of King John’s Castle, followed in the evening by a keynote lecture by Kjeld Hald Galster (formerly Royal Danish Defence College) and the unveiling of local artist Ester Barrett’s painting The Siege of Limerick at a wine reception. Saturday 4 October: presentations by eight invited speakers, followed by an evening conference dinner. Sunday 5 October: a morning walking tour of the walls of Limerick. To see this article as it appeared in issue 49 of Military History Monthly, click here.